Players, who join the NetBet gaming community are granted access to the best of the best online casino games. Apart from being a renowned web-based gambling provider, NetBet is well-known for its diverse catalogue that comprises hundreds of thrilling slots, video poker variations, table games like roulette, baccarat, and blackjack and various arcades. Some of the most popular titles in the portfolio have massive winning potential as they go hand in hand with huge progressive jackpots that increase by the minute. The trusted casino operator also has a superior poker offering as well as a fantastic Live Casino where players can engage in over twenty classic table games, hosted by friendly and seasoned dealers in real time. 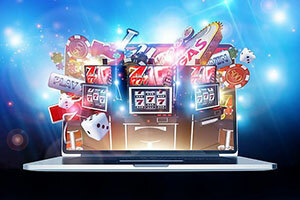 In addition, NetBet caters to popular demand, providing its players with the opportunity to bet and potentially win big on the go as the casino can be loaded directly in the smartphones’ browsers without having to install any additional software. As far as payment methods are concerned, there are plenty of options to choose from at NetBet Casino. The good news is it matters not which banking solution you opt for as all of them are equally convenient, time-efficient and secure. 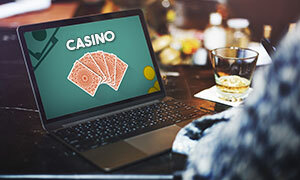 Newly registered players can claim a hefty bonus upon their first deposit as a warm welcome for joining the online casino. This is not to say existing members are left empty-handed as they are treated to various ongoing promotional offers as well. Each registered player is also granted an entry to the Players Club where various cash rewards and monthly prize draws await the most active members of NetBet. Players in need of assistance or information can get in touch with the casino friendly support team – premium customer service is provided via email, telephone, and live chat. NetBet casino was established in 2001 and is owned and operated by Cosmo Gaming Company Ltd. The minimum deposits and withdrawals at NetBet Casino amount to £/$/€10 per transaction. The maximum amount players are allowed to withdraw per month is £/$/€100,000. 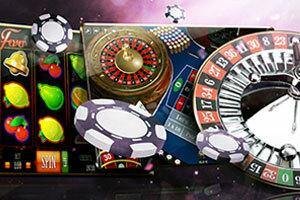 New players from the UK can claim 25 Free Spins once they register a real-money account. 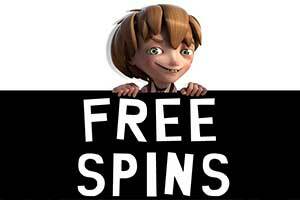 The spins can be used on the following NetEnt slots – Jack and the Beanstalk, Cosmic Fortune, Starburst, and Tornado Farm Escape. Winnings accumulated with Free Spins are subject to a 40x playthrough. NetBet rewards new players with a 100% Welcome Bonus of up to £200 on their 1st deposit. Wagering requirements of 30x the bonus amount apply. Existing players can benefit from Free Spins on selected slots each week, cash-backs, and various reload bonuses when depositing. 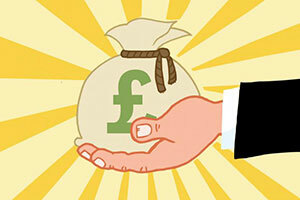 Players can also claim a £50 bonus for each friend they refer to NetBet Casino. NetBet’s loyalty programme, The Players Club, consists of seven tiers – Bronze, Silver, Gold, Diamond, Platinum, Stellar, and Elite. Each wager earns players NetPoints, which can be exchanged for bonus credits, cash vouchers, electronic goods, and various casino-related accessories. Each £1 bet earns players 3 to 10 points, depending on the game they play. The casino runs on software provided by highly recognised software developers NetEnt, Microgaming, IGT, iSoftBet, Amaya, and Novomatic, among others. The games run on the Flash technology and are available for Instant Play. Players can collect a mammoth prize by betting on progressive games like Isle of Plenty, Cosmic Fortune, Mega Moolah, Siberian Storm, Cleopatra, and Major Millions. NetBet is packed with hundreds of enticing online slots, video poker variants, arcades, and table games like European, French and American Roulette, Pontoon, Baccarat, Punto Banco, Caribbean Stud, Casino Hold ‘em, Texas Hold ‘em, Classic and Multi-Hand Blackjack. The Live Casino features a nice range of classic table games like Baccarat, Caribbean Stud Poker, Immersive Roulette, and Blackjack Extreme, to mention only a few of the options. The Live Dealer offering employs software by NetEnt and Evolution Gaming. Players can load the available games directly in their smartphone’s browsers as NetBet is compatible with iOS, Windows and Android-based mobile devices. The mobile casino is home to an extensive range of slots, 15 progressive games, several table games, and 14 Live Dealer games. Some of the accepted deposit methods include Visa, Mastercard, PayPal, Skrill, Giropay, Neteller, Paysafecard, Euteller, Trustly, Boku, WebMoney, and bank transfers. Deposits are typically processed instantly and free of charge. The casino supports the following 8 currencies – GBP, EUR, USD, CAD, CHF, RON, TRY, and CNY. NetBet’s website is available in English, French, German, Spanish, Russian, Japanese, Italian, and Romanian. Players can receive timely assistance and detailed information via live chat and email at support@netbet.com or by calling +44 (0)20 3608 6024. NetBet is licensed and regulated by the UK Gambling Commission (License No. 039170) and the Malta Gaming Authority (License No. MGA/CL1/1199/2016). Widely considered as one of the top online casinos for players in Europe and the United Kingdom, NetBet offers an astounding gaming selection that is second to none. With an ultra modern, instant-play lobby and approximately 2,000 games, it is one of the best bets for fans of slots or classic card and table games. Most of them are fully mobile compatible and open on all iOS and Android devices, but you can open them on every PC or Mac, too. NetBet is powered by a wide range of software providers, including the leading companies on the market right now – NetEnt, iSoftBet, Play’n GO, EGT, NYX, Microgaming, Pragmatic Play, Barcrest, Amaya, Bally, Evolution Gaming, Novmatic and IGT are just some of the names on the list. Most casino players know well that a gaming collection backed by so many software providers and brands is guaranteed to keep them entertained for a long time. And with the demo mode available for almost all games, NetBet offers great convenience to those who are less experienced or just looking for something new and fresh. All kinds of games could be played at NetBet, including online slots, progressive jackpots, and video poker. Of course, there are plenty of card and table games on offer, including roulette, baccarat, blackjack, poker, and craps. All these are available in their virtual format, but the casino operator has also prepared an excellent portfolio of live dealer games. The gaming lobby at NetBet Casino is beautifully organized and the games are divided into several basic categories. Under Slots, we can find hundreds of titles, including around 50 retro-style 3-reelers, which are listed under the Classic Casino subcategory. Many of the popular classic slots by NetEnt, EGT, Amatic Industries, Microgaming, and others can be found here – fruit-themed games such as Sevens and Fruits, All Ways Fruits, and Fruit Shop, or more advanced games like Agent Jane Blonde, Motorhead, and Magic Unicorn. 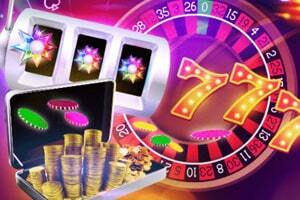 The online casino has listed hundreds of video slots in different sections for easy navigation. 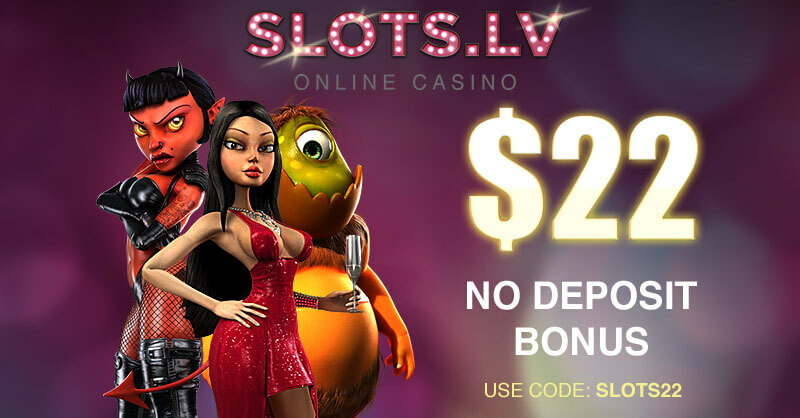 You will find games like Cash Spin, Wisps, and King of Slots in Play Vegas Style, or Legacy of Egypt and the FairtyTale Legends series in Tales and Legends. Other subcategories include Sports, Far East, As Seen on TV, Animals, Diamonds, and Popular Slots. As you might expect, most of the hit slots are listed under Popular – Rich Wilde and the Book of the Dead, Starburst, Twin Spin, Dead or Alive, Guns N’Roses, Jack and the Beanstalk, and many more. If you open the As Seen on TV category, you will find spectacular slots inspired by cult movies and TV shows like Planet of the Apes, Dracula, Jack Hammer 2, and the Invisible Man. One of the best things about NetBet Casino’s lobby is that you can immediately see the software provider of every game, as well as the number of people who recommended it without even opening it. The other games at the online casino are also neatly organized and divided into sections, including the roulette games, which are placed separately. When you are looking for a roulette variation, you will see these are all NetEnt and iSoftBet releases, with just a couple of exceptions. These games stand out with their fantastic graphics, realistic animations and sound effects. 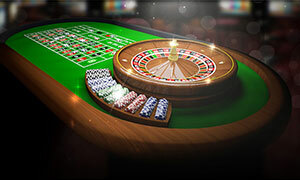 Several versions are available, namely iSoftBet’s European Roulette, European Roulette 3D, American Roulette, Roulette Silver, Bonus Roulette and Roulette Small Bets. There are low and high-limit games – for instance, you bet from £1 to £2,500 per spin when playing Silver Roulette, while the available bets in Roulette Small Bets range from £0.10 to £250. There are also several beautiful versions by NetEnt – European, French and American Roulette. But these games are not the standard roulette variations offered by many other software studios. They are easy to play, run smoothly and offer a wide variety of extra features such as Quick Spin, customization tools, statistics with “hot” and “cold” numbers, and many more. The design of the games is probably their most distinct feature – they resemble physical roulette tables, have fantastic colours and show the wheel and the table on one screen. The standard bet limits are from £1 to £500 per spin. In addition, most of the roulette games at NetBet offer special bets and racetrack bets, dynamic statistics, pay tables, and various settings you can adjust to your liking. Just like other large online casinos, NetBet has a dedicated blackjack section with games that would appeal to any fan of this casino classic. Created by several different gaming studios, they follow the same rules more or less, while the difference lies in the design and the little details. Due to tiny variations in the rules, the overall gaming experience and the average payout from each variation is a bit different. 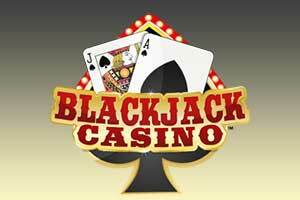 In all games, blackjack is paid 3 to 2, while insurance (where available) pays 2 to 1. The rest of the rules vary, depending on the specific game. Most of the versions are designed by NetEnt – Single Deck Blackjack Professional Series, Blackjack Classic, Blackjack Professional Series, and just Blackjack, and iSoftBet – Blackjack, Atlantic City, several multi-hand options, Blackjack VIP, and Super 7s Multi Hand. The minimum bet in most of them is £1, while the maximum limit can range from £40 in NetEnt’s blackjack versions to over £2,000 in some of iSoftBet’s games. Their VIP blackjack variations allow you to place a wager between £25 and £5,000 per round. The majority of video poker games at NetBet Casino are provided by iSoftBet and feature plenty of bonus payouts, mystery prizes, and multipliers. While all these are quite attractive, they lead to significant differences in the paytable of each game, which could easily confuse beginner players. This is why these variations of video poker are recommended for more experienced players. Bear in mind that the RTP (Return-to-Player) percentages of the games also range a lot as some of the versions are full-pay, while others are not. For instance, the studio’s Tens or Better 4x is a four-hand version of video poker which has lower payouts for Full House and Flush – instead of paying 9 and 6 times the bet, it pays 6 and 5 times the bet for these two hands, respectively. The payouts for Four of a Kind and Royal Flush are also lower, which means the game has a slightly higher house edge and the RTP is 97.83% when you play with 4 coins, the maximum bet level. In comparison, the single-hand Tens or Better by iBetSoft is much better, as it has an RTP of 99.14% when played with 5 coins and a perfect strategy. Other video poker variations by this software provider at NetBet are Jacks or Better, Joker Poker, Joker Vegas Poker, Poker Bowling Strike, Joker Wild, Joker Poker Wheel, Joker Poker Big Beer, Deuces Wild, and more. There are several other games within this category, namely IGT’s Ultimate X Poker and Match Times Pay Double Double Bonus Poker, as well as Jacks or Better and Joker Poker by EGT. Hosting around 15 titles overall, the Jackpot section at NetBet Casino is not particularly large in terms of size. But it is stunningly huge in terms of the total amount of the progressive jackpots on offer. All the popular progressives by leading software providers can be found here and demo versions are available for some of them, which is fantastic. 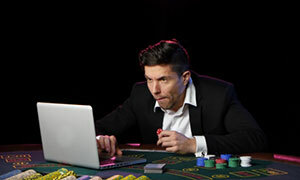 In comparison, most online casinos do not allow practice play for games that feature progressive jackpots. In addition, NetBet shows how the jackpot of each game rises in real time (or almost in real time), which is an indication of the games’ popularity. Among the progressives on offer in the lobby are Microgaming’s Mega Moolah and Major Millions, IGT’s Cleopatra, Siberian Storm, and Isle O’Plenty, as well as NetEnt’s Divine Fortune and Cosmic Fortune. Once again, the online casino has plenty of progressive jackpot games by iSoftBet, including Diamond Luck, Rambo, Lady Super Luck, and Basic Instinct. In total, the jackpots offered by NetBet are worth around $15 million, a stunning amount of money that can make you a millionaire in a single spin. However, these are not all progressive jackpots you can play at NetBet’s website – along with Casino, the site has a separate Vegas section. There, you will have access to additional jackpot games exclusively from Playtech as this part of the website is powered by Playtech and Ash Gaming. There are more than 50 progressives including the slot games Jackpot Giant, Beach Life, Gladiator Jackpot, and the Age of the Gods game series. You can also play several card games that have progressive jackpots such as Progressive Blackjack and Caribbean Stud Poker. The Live Casino section at NetBet is powered by Evolution Gaming, one of the leading names in the online gambling market. The games here are of excellent quality and streamed directly from Evolution Gaming’s production studios in high-definition. You can join one of the tables where you are welcomed by professional and friendly dealers while the flexible bet limits would suit both low-stakes players and high rollers. These games are, of course, available only in real-money play, so you need to register an account and make a deposit in order to play. There are several baccarat and blackjack games offered in single or multi-player versions, but the focus is on roulette with more than a dozen different variations. Among them are Speed Roulette, Immersive Roulette, Automatic Roulette, and French Roulette. There are also several VIP tables where the betting limits are higher. In addition to these games, you can try some exciting poker versions – Casino Hold’em, Three Card Poker, and Caribbean Stud, or visit the newly released Football Studio. It was launched a couple of days before the start of the FIFA World Cup 2018 and features a simple card game hosted by football commentators. You will also find a nice collection of live dealer games in the Casino section of NetBet – there are various blackjack, roulette, poker, and baccarat variations available. The table limits vary, depending on the provider and here, they are NetEnt, Evolution Gaming and Ezugi. Can I withdraw the bonus I have claimed? No, it is impossible for players to cash out the amount they have claimed in free casino credits. The bonuses are to be used only for playing the available games. Players, however, can cash out the winnings they have accumulated with their bonus funds. In order to do that, the wagering requirements attached to the bonus offer need to be cleared. Please note that different casino games have a different contribution percentage towards the said requirements. Some games do not count towards the playthrough at all. Are the casino games on NetBet fair? Players can rest assured all available games are completely random and thus, fair. The outcome of each game is generated by a Random Number Generator (RNG), not to mention the entire catalogue is audited on a regular basis by accredited testing agency iTech Labs. The latter has confirmed that the card and number sequences for the games are random, non-repeatable, and evenly distributed. The casino’s payout percentage for 2016 is estimated to be 96.62%. Is it possible to claim more than one bonus simultaneously? No, players are allowed to claim and activate only one bonus at any given time. If several bonuses are claimed simultaneously, NetBet will activate them in the order in which they were granted to the player. Once the player has wagered a specific bonus in its entirety and has cleared its playthrough, another bonus can be activated. Are the personal and banking details of the players secure? Players, who register an account at NetBet can have their peace of mind because knowing their transactions are in good hands. NetBet Casino uses sophisticated SSL encryptions to protect its players from fraudulent transactions. All information is stored on secure servers that utilise the latest security patches. I play here at least once a week because I find the casino very safe and trustworthy. There are many games that keep you entertained for hours, while cashier system is very convenient and easy to use. The customer support is incredibly helpful and always polite – even when I ask them silly questions in the middle of the night. The loyalty program is very good. I’ve already progressed to Silver status, but I’m planning on becoming a Gold player very soon. There are also many promotions and prize draws where you can win all kinds of rewards. I have only one complaint and it doesn’t really bother me so much, to be honest, and that is the withdrawal time – I withdraw to my credit card and it usually takes 4 or 5 days. I registered at this casino a few weeks ago because of the number and the variety of games on offer. 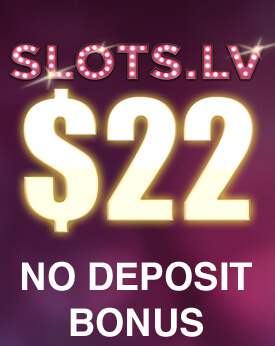 I like online slots the most, but I sometimes play video poker and try my luck at roulette, and generally, I have very few favourites, all of which are offered here – Game of Thrones, Jack Hammer, and Starburst. I deposited £200 and the casino doubled it, so I had £400 to play with – the wagering requirement was pretty high, 40x, but I managed to meet it. First, I started with £0.20 bets on Starburst and then lifted them to £2 and £20 and I surprisingly won £400. Then I decided to try Jurassic World because it was really nice-looking, but I didn’t have much luck. Eventually, after meeting the wagering requirement of the bonus, I had £72 left, which was more than I expected, really, considering my bad luck. Still, I had a great time in this casino and I’m definitely playing again. This is the most reliable casino I’ve played at. Sometimes, online casinos will cancel your withdrawal or close your account without even explaining why. With NetBet, this has never happened to me – my money is usually transferred to me within a couple of days, and the customer support staff is really amazing. I totally love the games here because they are provided by so many software developers that the variety is quite impressive. Of course, there are websites with much more titles, but when your choice is too great, you can get confused very easily. The bonuses and promotions at NetBet are very rewarding – you receive a 100% match on your first deposit, and then, you can take advantage of various weekly events and campaigns. 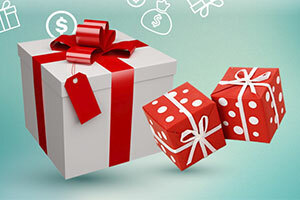 NetBet offers an outstanding collection of games, excellent customer support and reliable payouts. Although this is an iSoftBet casino, they have games from leading providers such as NetEnt, Microgaming, NextGen, Amaya, IGT, and a lot more. There are various promotions and limited-time events, but the bonus for new players is standard (100% match on the first deposit) and not very impressive. The website has a stylish design and is easy to navigate, there is a search and a live chat feature, while the games can be sorted by different criteria. There is one thing that is quite frustrating, though. You have different money balances for the different sections of NetBet – the casino, the sportsbook, the poker room, and the live casino.